all your clothes shrink) and there's just something so comforting about being strapped in. My (four pairs of) non-maternity dungarees fit me comfortably up until I was 29 weeks pregnant and although I was sad to relegate them to the back of the wardrobe, I didn't rush out to find some that accommodated the bump. It just seemed unnecessary when it was only ten weeks to the finish line. I thought I could cope without them, but how I miss their comforting embrace. 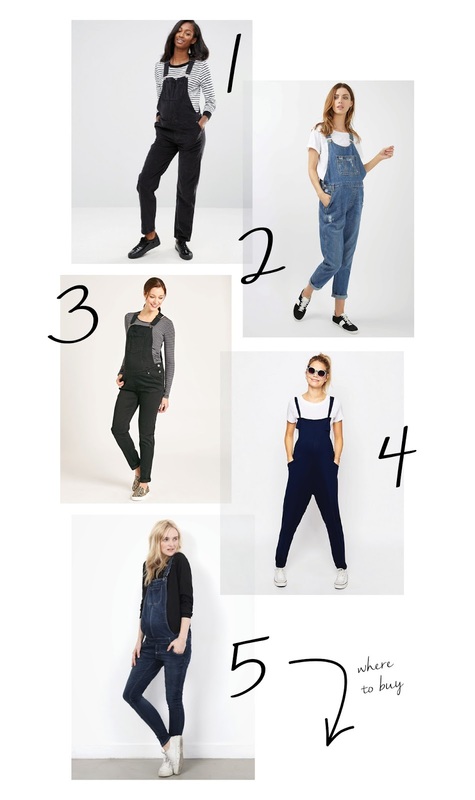 With less than a month to go it's too late for me to justify a purchase now, but I've rounded up the best dungarees on the market for you. Save yourselves! Do you share my dungaree love? Any favourite brands?